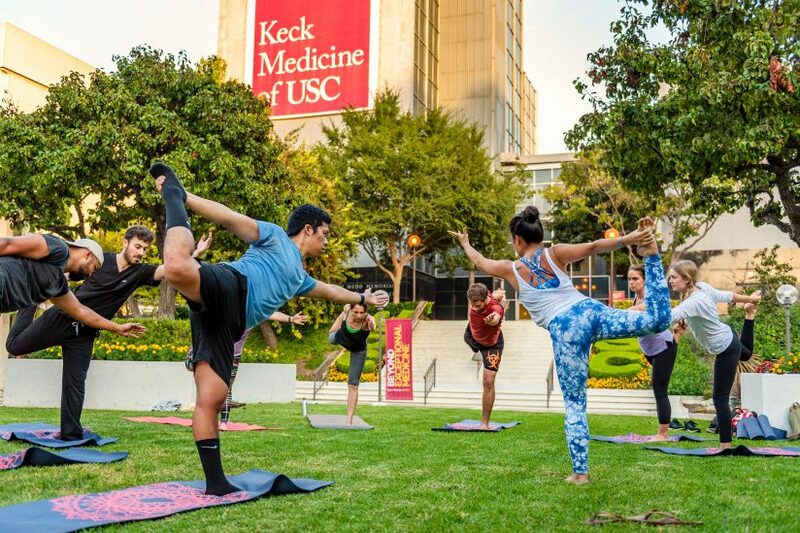 To counteract burnout among medical students, the Keck School of Medicine of USC has established a new wellness curriculum featuring mindfulness, anxiety management and stress prevention. Medical students now receive support and training in areas from physical and mental health to academic performance and financial knowledge, said Chantal Young, USC’s director of medical student wellness. “It’s a holistic, comprehensive program,” Young said, adding that students surveyed about their satisfaction give the curriculum high marks. Launched in fall 2016, the initiative seeks to lessen the anxiety and stress of the medical school experience. Aspiring doctors face a complicated array of factors that increase their risk of mental health problems. Students are placed in high-stress situations with immense pressure to perform. They put much of that pressure on themselves due to perfectionism. Many of them view seeking support for anxiety, isolation or depression as a sign of weakness. Yet more than a quarter of all medical students worldwide struggle with depression. Eleven percent have thoughts of suicide. And only 15 percent who screened positive for depression sought psychiatric help. 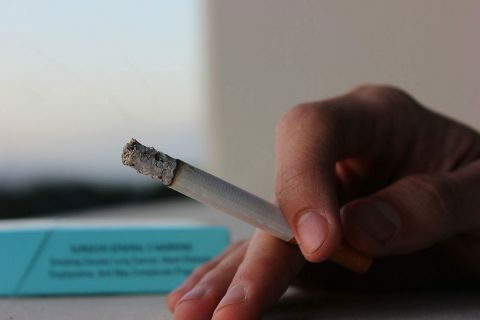 Those statistics emerged from a major analysis of studies involving nearly 130,000 medical students across 47 countries. The United States is no exception — suicide is more common in medical school than any other educational setting, according to the American Medical Student Association. 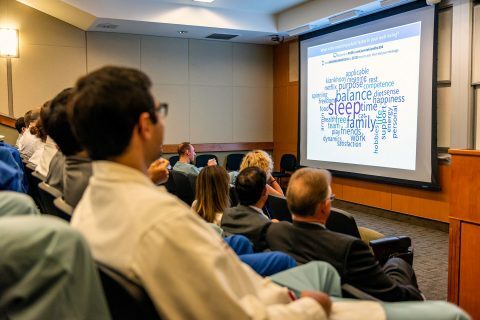 Leaders at the Keck School of Medicine are addressing those challenges with an array of wellness resources to help students thrive during their time in medical school and as they continue their careers in medicine. 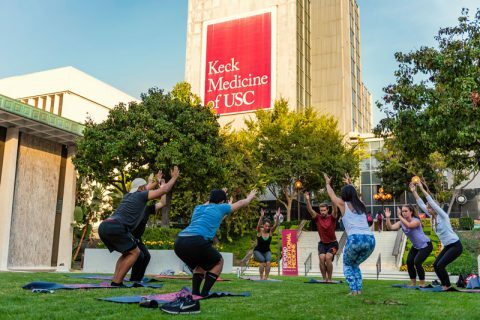 For the past two years, USC’s medical school has provided what it calls Keck Checks — mental health check-ins for the school’s 186 first-year medical students. The 15-minute sessions with a clinical psychologist are offered to all, Young said, ensuring that nobody feels singled out or stigmatized for meeting with a mental health professional. Amy Jahr, a third-year medical student at USC, said she appreciates the reminder to take a moment to assess her health and well-being, even if she feels like everything is under control. 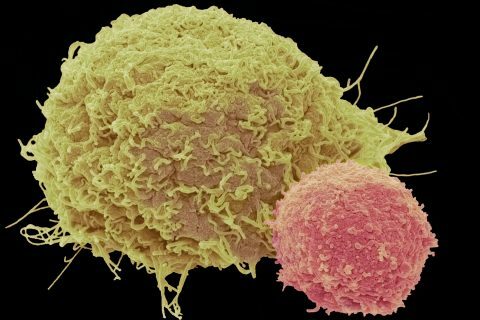 “If you don’t have that time set aside, it’s easy to get sucked into other activities and put it off and end up in crisis mode later,” she said. Young also oversees yearly mental health surveys for all students and promotes the use of free, weekly drop-in meditation and yoga classes. Students can consult with a dietitian to assess their nutrition, take free boot camp workout classes and use free “bike desks” to exercise while they study. In addition, all third- and fourth-year medical students must take a bonus wellness day once every six weeks, as they complete rotations or clerkships in various specialty departments. Several student-led initiatives also focus on wellness. Keck Peer Support provides confidential one-on-one peer counseling, weekly group debriefs, study breaks and a monthly newsletter with responses to anonymous questions from students. Medical students also serve as wellness representatives, sharing their concerns with school leaders and organizing events like visits with therapy dogs and ice cream socials. Students can provide suggestions for improvements, too. 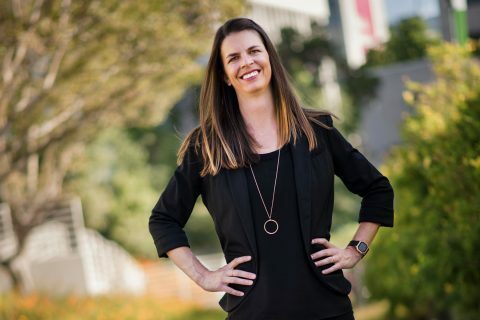 Andrea Moore, a health promotion specialist with USC Student Health, helped establish a student advisory committee to offer feedback, and she meets informally with students to discuss their experiences and needs. 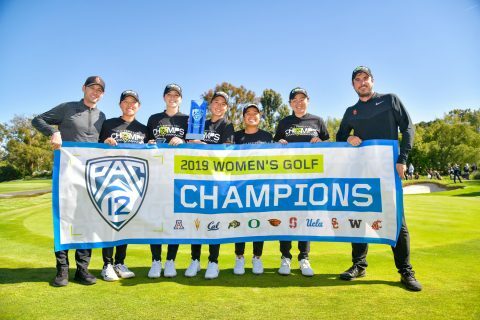 Those insights have helped Moore identify areas for improvement, such as the need for more healthful food options or dedicated wellness resources for master’s and PhD students based at the USC Health Sciences Campus. “The other thing we see a lot is lack of social connectedness, especially for people who are coming from out of state or didn’t go to undergrad around here,” she said. 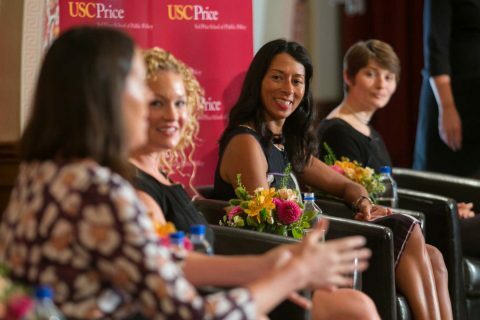 Moore noted the increasing emphasis placed on overall efforts to promote student health at USC by administrators like Vice President for Student Affairs Ainsley Carry and Keck School of Medicine Dean Laura Mosqueda. 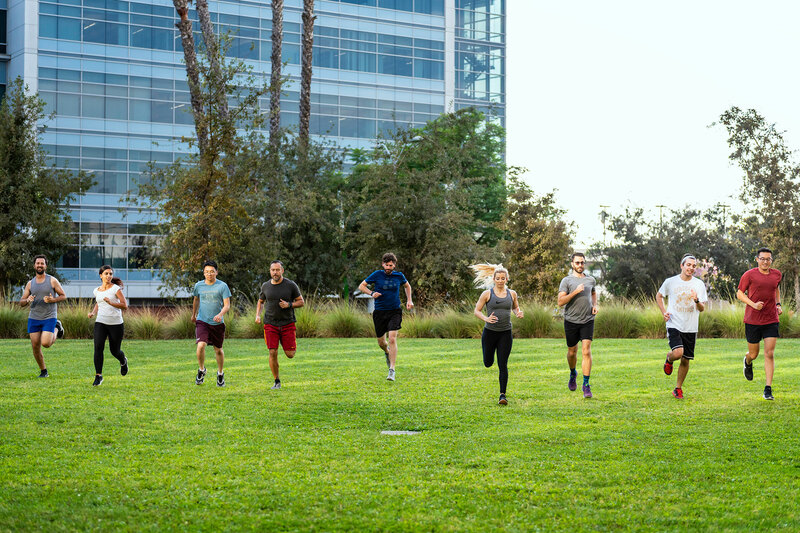 Wellness programs for medical students are also part of a broader effort to encourage health and well-being among doctors, residents, staff members and others at Keck Medicine of USC. Want to learn more? 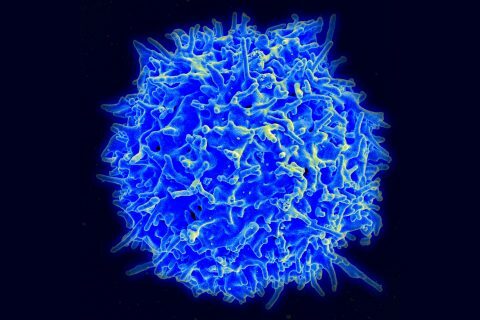 Visit the Keck School of Medicine’s wellness site. Doctoral candidate copes with vertigo thanks to USC physical therapy faculty members.